Media captionScotland's First Minister Nicola Sturgeon said "now was the time for Scotland to be heard". Nicola Sturgeon has described Theresa May's plans for a snap general election as a "huge political miscalculation". Ms Sturgeon said the move was an "extraordinary u-turn" by Mrs May, but that she relished the prospect of campaigning against the Tories. The prime minister wants to have an election on 8 June - arguing that it will give the country certainty and stability following the EU referendum. There will be a Commons vote on the proposed election on Wednesday. The prime minister is expected to win the support of the required two-thirds of MPs, which she needs to call an election before the next scheduled date of 2020, with no opposition parties indicating they will oppose the move. Why has May changed her mind on an election? The SNP won 56 of Scotland's 59 seats at the general election in 2015, with the Conservatives, Labour and Liberal Democrats winning one each. Scottish Conservative leader Ruth Davidson said her party was ready, organised and optimistic about winning more seats this time. Scottish Labour has also insisted it is "ready" for an election, while the Lib Dems said they were "relishing the prospect" and the Scottish Greens said there would still be questions for the UK government if the majority of Scottish voters backed pro-European parties. 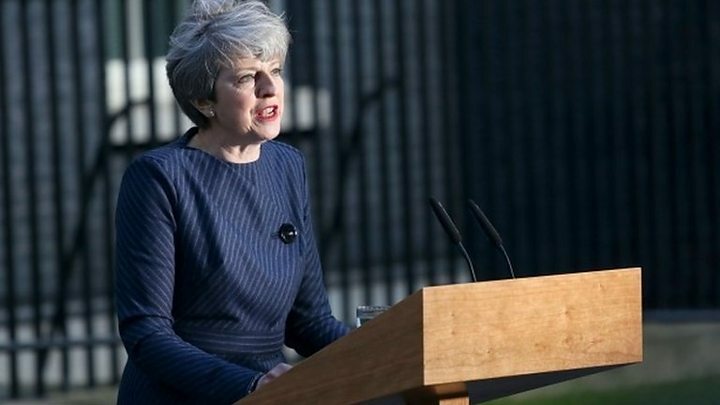 Announcing her plans at Downing Street, Mrs May said "the only way to guarantee certainty and security for years ahead is to hold this election". She accused Labour, the Lib Dems, the SNP and members of the House of Lords of "game playing", saying this could undermine the UK government's efforts to negotiate the Brexit settlement. She added: "We need a general election and we need one now. We have at this moment a one off chance to get this done. "Since I became prime minister I've said there should be no election until 2020, but now I have concluded that the only way to guarantee certainty and security for the years ahead is to hold this election and seek your support for the decisions we must take." If this election is to be a referendum on Brexit in the rest of the UK then in Scotland it will be dominated by arguments over whether there should be another referendum on Scottish independence. 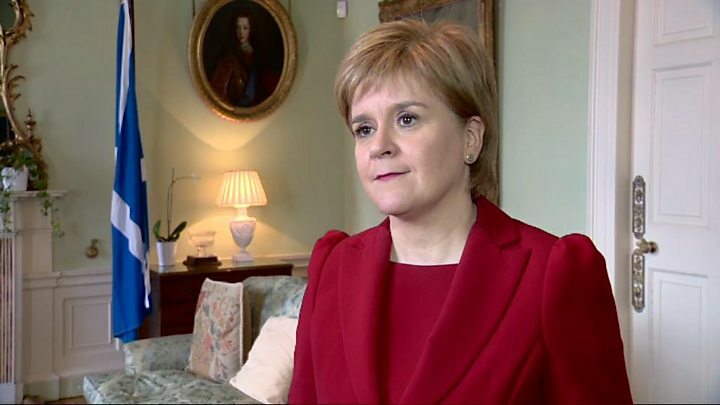 First Minister Nicola Sturgeon says she doesn't need to use this election to win a mandate for a referendum because the Scottish Parliament has already voted in favour of having another poll. But she will obviously use this election to make the case that Scotland should be allowed to choose its own future as the UK prepares to leave the EU. There is a certain irony to Prime Minister Theresa May calling an election now when she also says that "now is not the time" for another referendum on Scottish independence, saying politicians should be concentrating on negotiating Brexit. Ms Sturgeon told BBC Scotland that the prime minister was putting the interests of her party ahead of those of the country. The first minister said: "Clearly she sees the opportunity, given the total disarray in the ranks of the Labour party, to crush all opposition to her, to get rid of people who disagree with her, and to give herself a free hand to take the country in the increasingly right-wing direction that she wants to take it in. "That would mean not just the hardest possible Brexit, but more austerity and deeper cuts. "So now is the time for Scotland's voice to be heard, and for people in Scotland to stand up for the kind of country we want Scotland to be - that is the campaign I look forward to leading in the weeks ahead." Ms Sturgeon also said her position on a second independence referendum was "clear, and will continue to be clear throughout this campaign". She added: "It is that, when the time is right, it should be for Scotland to determine our own future, not for a Tory government to determine that future for us. "So that position is the one that we will take into this election, and the one that we will have after this election as well." The first minister also said that she already had a mandate for a second referendum, which she said she won in last year's Scottish Parliament election. It is intriguing to note the terms of Ms Sturgeon's response statement. She says the Tories are intent on pursuing a right-wing, hard Brexit agenda. To the disadvantage, she says, of Scotland. She also adds that the SNP will be set on "reinforcing the democratic mandate which already exists for giving the people of Scotland a choice on their future". Note that word "reinforcing". Ms Sturgeon and her colleagues insist they already have a mandate for an independence referendum - from the Holyrood election and from a recent vote of the Scottish Parliament. They will not fall into the trap of making this election purely and solely a "referendum about a referendum". What if they were to lose ground - even a fraction - from their current soaring level of 56 seats out of 59? Ruth Davidson of the Tories says we may now have seen "peak Nat". Is she seeking to suggest, thereby, that any decline, however slight, is a reverse for independence? The Scottish Parliament has said the early general election will not impact on the next Holyrood election, which is still due to be held on 6 May 2021. Scottish Conservative leader Ruth Davidson welcomed the prime minister's announcement, saying her party is "ready for a campaign, we are organised, and we are optimistic about the prospect of increasing our number of seats". She said the SNP would "use this campaign to try and manufacture a case for separation", and claimed that "Labour can't be relied to stand up to them." Ms Davidson added: "By contrast, the Scottish Conservatives have the strength right across Scotland to stand up for people who oppose the SNP's plans." Scottish Labour leader Kezia Dugdale said the UK faced a "significant and historic choice" between a "Tory party intent on a hard and damaging Brexit, or a Labour party that will oppose a second independence referendum and fight for a better future for everybody". She said: "The Labour Party is ready and has been preparing for a general election. We will start the process of selecting our candidates this afternoon. "We will work tirelessly to elect Jeremy Corbyn prime minister and deliver a Labour government." Scottish Green co-convener Patrick Harvie said the election was an "opportunistic attempt by the Tory party to seize on the weakness of the Labour party at UK level", adding that the UK government would "still be faced with a question" over Scotland's future after the vote. And Scottish Lib Dem leader Willie Rennie said his party was "relishing the prospect" of a vote as "a chance to change the direction of the whole of the UK". He said: "At this election we will stand proud for a United Kingdom within the European single market." The Westminster election on 8 June will be about lots of things. They always are. But as a national debate, my hunch is that it is likely to be mainly focussed on Brexit and who gets to occupy 10 Downing Street. The wisdom of James Carvel, the Ragin' Cajun' strategist for Bill Clinton back in 1992, was that the electoral battleground "is the economy, stupid". And so it goes in most campaigns. But the economy seems less likely to be decisive this time. For most of Britain, it's not doing that badly, particularly the jobs market. But inflation is rising. And in Scotland, growth has stalled. The economy may even have been in recession this winter. It could be more of an issue in Scotland, if the political parties wish to prioritise it. Brian Taylor: Why has PM changed her mind? It's not the economy, stupid - is it?